Paul had been going through a marriage breakdown leading up to his death and was on sick leave. He spent time, leading up to his death, visiting various friends and family ( which was his way of saying his goodbye’s ) but no one was aware of the mental anguish that Paul was going through. He spent time putting his ‘affairs’ into order before, eventually, going to a beach where he left three notes, to various people, and then shot himself. May you forever Rest In Peace mate. STEFANIW. 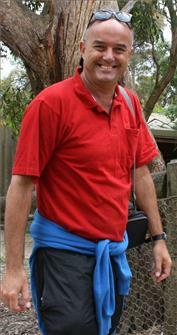 – The Funeral Service for the late Leading Senior Constable Paul Taras Stefaniw will be held at the Victoria Police Academy, Viewmount Rd, Glen Waverley on MONDAY (Dec. 10, 2012) at 10.00 a. m. followed by a Burial at Fawkner Memorial Park, 1187 Sydney Rd, Fawkner at 1.30 p. m. Vigil Prayers will be recited at the Ukrainian Orthodox Cathedral, 91 Buckley St, Essendon on SUNDAY (Dec. 9) at 6.00 p. m.
Miss you Paul, you were a wonderful person, I think of you often and will always remember your greeting to me in the office “Woof”, and our discussions about your dogs and cats. Stef, still thinking of you mate and you are truly missed. I still cant believe you have left us!! A true friend and a top fella. Dont forget “its ok”. Paul, Since hearing the news of your passing, it has been very difficult, both with a heavy heart and with many tears shed, to write what I feel. You have given me many fond memories in my life, from our many wonderful times during our years in Plast, as well as the times you visited Adelaide to celebrate birthdays or just for a visit. I will cherish these memories forever. Today, our Christmas Day, I wanted you to know that you are sadly missed and that my thoughts and prayers and heart are with you, Peter, Roxy and your family. Thinking of the Stefaniw family during this difficult time especially on the eve of christmas. Its funny I never met Paul but felt like I knew him through hearing lovely positive stories about him from my mum and our friend who attended the same Church and through an ex partner who is also VicPol. I felt deeply saddened as a human being,a fellow ukrainian and an ex “plastunka” on hearing of his passing. Clearly a beautiful soul as evidenced by the tributes on this site and all that knew him. Gone too soon though Paul will live on in many hearts. Rest in Peace Paul. Love, Solace and Strength to your twin brother Peter, your beautiful children and all the Stefaniw family. Stef, thanks for all the laughs and the good times we had mate. You always made me happy with your police war stories and funny one liners!! I will never forget you and hope you are at peace now. Cheers my big friend with the big heart! Bye mate, AB. To my dearest friends who have entered condolences in this book. My sincere thanks to you all for your kind words in the passing of my dearest(twin) brother, Paul. I was born, lived and died with him. Your thoughts and prayers for him and my families have made grieving just that little easier. I hope Paul, you have now found peace and can rest your troubled heart. I know you are around me because i can feel you. To our favourite Uki twins Pavlo and Petro. You made out Plast days memorable. We will only ever remember those beaming smiles. Beautiful souls the pair of you. I will miss you calling me “Fraulein” and calling out “Auf Wiedersehen” when you left the office. Your were a good and kind man and police officer.I am thankful to have known and worked with you. Auf Wiedersehen. Stefaniw, PaulThe fond childhood memories of dear cousin Paul shall not pass away. Our deepest condolences and prayers for Peter, Roxolana and their families. With love – cousin Nadia & Otto, Joelle & Ariel. For the time we have known each other has been great! From all the stories that Mama and Tato have told me to all the funny jokes you shared when you came to visit us in Canberra. It will never be forgotten, you have a heart of gold. You will always live in our hearts and prayers. My dearest sympathy to Peter, Roxanne, Leisa, Nicholas and Maryanne. May you rest in peace. Such a rare person – such a short life. Sorry that we could not be there for you – you have always been there for us. Will miss you a lot. Rest in peace. Vichnaya pamyat’. I always looked forward to seeing your smiling face at Police functions. I’ll miss ya mate! Stef The pleasure was definatley all mine to have known you twice. You had the biggest marshmallow heart and were such a giver. I always loved you and will never loose that love for you. Some words you sent to me once, I now need to send back to you (thanks for the mwahs..they arrived with a tail wind last night and did wonders…)I know that you are still boxing on Stef… oh and I do! STEFANIW. – Paul. A tender thought that brings a tear, A silent wish that you were here. xo (There ’tis.) Deepest sympathy to Peter and the Stefaniw family. – Linda. STEFANIW. – Paul. Thank you for sharing a lifetime of good and happy memories. We will miss you – Mr and Mrs D, Lee, Deb and Mike. STEFANIW. – Paul. Members of the Blue Ribbon Foundation would like to pass on our deepest sympathies to Peter and members of the Stefaniw family on the passing of Paul. We have lost a loyal friend, and the community, a dedicated member of its Police Force. STEFANIW. – Paul. “Big Kahuna” One of the nicest guys in the job. Gone Fishing – Dr Smith. STEFANIW. – Paul. Deepest sympathy and condolences to Pete and family on the tragic loss of Paul. 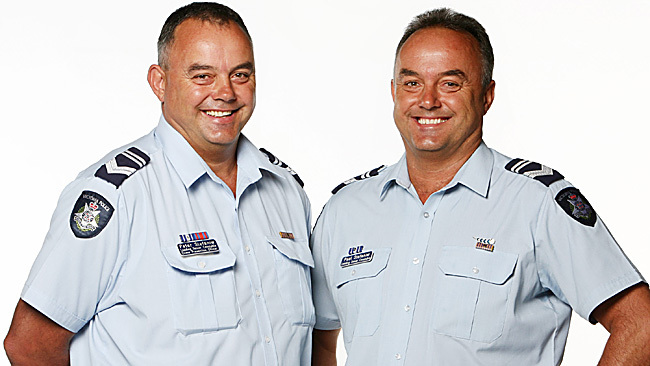 – Past and Present Members of the Specialist Response Division (Water Police, Search and Rescue, Police Air Wing). STEFANIW. – Paul. A great man and an even greater friend. We will miss your regular holidays here with us. Forever in our hearts – John and Di. STEFANIW. – Paul. L/S/C 25440 Members of the Kingston CIU would like to pass on our deepest sympathies to Peter and members of the Stefaniw family on the loss of a respected member of the Victoria Police. STEFANIW. – Paul. Dearest Paul, you are an amazing person, and an even better uncle. Love – Rhiannon. STEFANIW. – Paul. Darling Paul, memories of you are endless. Love and miss you. – ‘Detty’. STEFANIW. – Paul. The Office of the Assistant Commissioner of the Road Policing Command is deeply saddened by the loss of leading Senior Constable Paul Stefaniw. The Road Policing Command send their condolences to Paul’s family and friends. STEFANIW. – Paul Taras. Leading Senior Constable 25440 The Chief Commissioner, Officers and Employees of the Victoria Police Force regret the tragic death of their colleague and offer their deepest sympathy to his family. STEFANIW. – Paul LSC 25440. My dearest brother Paul, your tour of duty has now concluded. Rest gently in peace so your heart can relax. You were born, lived and died in my heart. What an honour to know you. All my love ‘Big Kahuna’ – Pete. STEFANIW. – Paul. My dearest brother and friend, my rare and precious gift. Love – Roxolana. STEFANIW. – Paul. My loving uncle and Godfather, I always looked up to you. Now you’re even higher. Say hi to Buc. Love – Valiska. STEFANIW. – Paul Taras. My Dear Husband Paul, Thank you for all the wonderful memories we shared over the years. Thank you for the beautiful children we have. The emptiness that is now left can never be filled. I pray you find serenity in your ‘perfect world’. Rest in peace -Maryanne. My Loving Dad, Thank you for every moment you made me happy. I will continue to carry out my duties and never stop our activities of camping and fishing. I will make you a very proud father, for I know you will be looking down from above helping and cheering me on. Rest in peace. Gone fishin’ – Nicholas. To Dad, There aren’t enough words in the world to say how much I love you and how much I will miss you. Thank you for every day in which you made me laugh. I wish you were here with us. Give Busia a big hug. Love always – Lesia. Forever yours – Kyrka. PETER: When you’re growing up, people think you have a telepathic connection to your twin, but it doesn’t always work out that way; we’re not mind readers. Though once we went to the same (police) job and I managed to get to the house at the same time as Paul, just as the (criminal) disappeared towards the back of the house. It’s almost as if I sent Paul a mental fax: “Go round the back”. And Paul has high-tailed it and managed to get there in time and have the guy run straight into him. We cuffed him and the guy couldn’t work out how I got from the front to the back so fast. He looked at us and said something like, “I think I got a bad batch (of drugs) today”. Another time, there was a colleague killed on duty and Paul was the first one there, and I could just feel the vibe from him; it was almost like a radiant heat wall, a wave of depression. You can read the body play and language. People do have a sense of curiosity, especially when you walk into a room, two policemen. And my wife is a triplet; they’re not identical, but the line you get is, “If you have kids, are you going to have quintuplets?” To a certain degree you can take being an identical twin for granted, but we like it. PAUL: People still perceive you to be half of another person, yet you are an individual. You ham it up, you make the most of what it is. Growing up it’s like a novelty, then as you get older it starts wearing thin – year after year the same lines, jokes, catchphrases. It’s good fun at school – there were a few problems with girlfriends or perceived friends who mistook us. Once I went on a date with a girl who had brown hair and we went to this particular restaurant; after that Peter and his blonde girlfriend went there and this waitress threw the meal down on the table. It was not until we went on a double-date there that the waitress realised there were two of us; she thought one of us was dating two and doing the dirty, and she’d taken the woman’s perspective – “Here’s your bloody spaghetti”. She was so apologetic. I was in the water police at the time Peter was a police helicopter observer. One time he was out on a search for a young girl in Wangaratta, and I was getting ready to go to work. Out of the blue I just stopped and called out his name, loudly, “Peter”, and then just went to work. On a patrol later that afternoon I was pulled aside and told by my boss that the helicopter crashed and Peter was in it, and almost killed. That moment (when I called out his name) was when it happened. That was weird. Twins will relate to that telepathy thing. Overall, being an identical twin is a plus. If you don’t know any different, it’s a bonus. It’s Mother Nature’s gift.